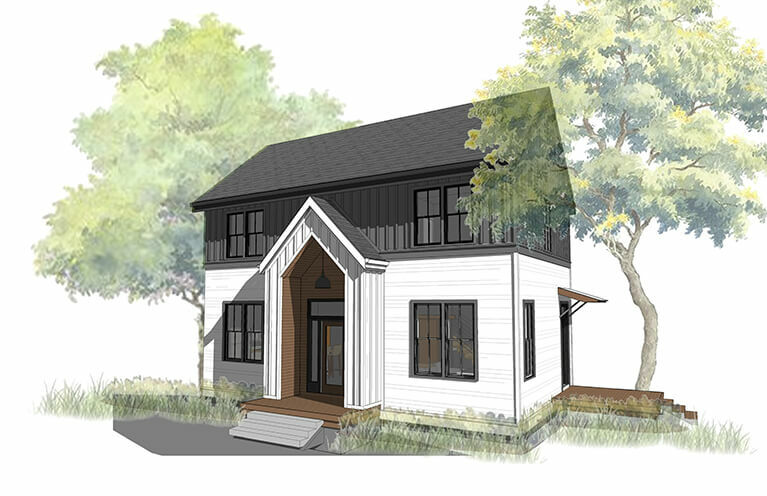 The Woods is a new community in West Nashville featuring modern cottages and a curated landscape all bordering a future greenway. Minutes from Charlotte Park and the Cumberland River, The Woods is a part of the larger community, The Annex. Featuring community greenspace, live work lifestyle, with very close proximity to 51st Avenue and The Nations, this former industrial yard will transform a section of the already lovely James Robertson neighborhood. Simply sophisticated, intermingled with green space, in the heart of a great community. Designs from 1–3 bedrooms at hand. Click a lot number to view details. Find yourself in The Woods.